Long time, no blog, huh? I’ve just been sitting around being lazy. The last time I wrote a post I was recapping my 80ish miles I ran at Mo’Bell 100. Since that time I’ve been working on increasing speed, incorporating more hill repeats and ramping up my volume. All the normal stuff you do when training for another 100 miler. 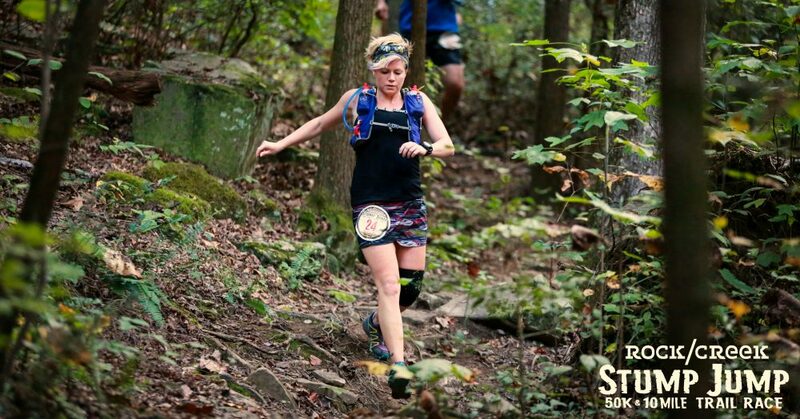 The Chattanooga 100 is now looming on my horizon….65 more days to be exact (but hey, who’s counting?!) I’d love to tell you all that I’m super prepared and ready for THE BIGGEST RACE OF MY LIFE but if you’ve been a reader of this blog for any length of time, you’d know this couldn’t possibly be true. Anyways, as per usual, I’m struggling to get all my training miles in. Three kids, all their extracurriculars, special needs… blah blah blah. You know the story. So I’ve been trying to get pretty creative when it comes to training. This means doing back-to-back long runs on the weekends whenever I can…. but my weekends are getting more and more booked, making those much-needed long runs harder to fit in. This means taking my kids with me to the track/bleachers for short runs. This means parking my kids at the top of a hill on the trail while I run up and down until I’m ready to vomit. It means using my treadmill and sometimes waking up while the moon is still out to run around my hood. It also means lifting heavy and cross training when I can. It’s crunch time and I’ve decided that I will do whatever it takes. Whatever.It.Takes. So that’s it. That’s all I’ve got. Will I be ready? Haha. Probably not. But I’m gonna give it hell and have fun trying. Stats: 1-100 mile options (1M, 5K, half/full marathon, 50K, 50M, 100K, 100M) with a technical/hilly ~3 mile trail loop or 1 mile paved loop option. Bottom Line: If you are chasing a goal and want a friendly, supportive and caring team of people taking care of your every need–and you don’t want to worry about missing cutoffs–this race weekend is for you!! Beginner friendly, no egos allowed, just a fun time pushing your limits with like-minded folks. Tons of support and by the end, everyone knows your name! My first 100 mile attempt brought up all the expected feelings–the thrill of a new race, the butterflies in my stomach the night before and the ache of my feet by mile 50. But what I did not expect was for my journey to morph into something different all together. Something much better than I could ever have planned. These past few months have been exhausting for me both mentally and physically. If it had not been for my two running BFFs, I would have backed out of this race. I mean, my family life had put me through the ringer. The onslaught of hospital stays, new diagnoses and life changes were daunting to me. It derailed my training. It depleted me emotionally. There was just so much to deal with. But I was ready to take this journey with my friends. I knew I was capable despite my setbacks. I knew WE were capable. And honestly, all of us were dealing with heavy stuff in some form or another. So back to the story. The night before the race I was stressed. I laid in bed unable to sleep while trying to ignore my sore, swollen throat. I slept maybe an hour that night. Which totally sucked because I knew I would be up and running for the next 30-40 hours straight. Which stressed me out even more. The morning of the race I felt great. I was eager, hopeful and ready. My throat hurt but I ignored it. The day went as expected. But around mile 34 things began to go south. My throat was swelling and I could hardly swallow. My head felt heavy and I had some extreme chafing showing up in some…ahem….sensitive areas. I’m not new to ultrarunning but this chafing was unusual for me and I’m not sure what went wrong. By nightfall I was barely coherent and in pain. At one point I couldn’t even stand upright and almost face planted into the ground. That’s when I knew it was not safe to keep running. My friends stayed on course while I went to sleep off my delirium. But I knew what it meant for me–that I might not make it to 100. After several hours I awoke feeling a little better. Since it’s a looped course, I decided to get up and run. I joined my friends and decided I would see how the day goes before settling on a certain ending mileage. I ran. I walked. And I decided that if I got to 100K I would be happy. But then I decided that this race wasn’t about my goal anymore. It was about my friends. It was about spending time with people who make my soul happy. And in the end, it would end up becoming a journey to see my friend Bud cross the 100 mile mark and earn his buckle. No matter how terrible I felt, I vowed to myself that I would get my buddy to the end. That was my goal for this race now. My friend Jenn and I were comfortable with getting to the 100K mark (and beyond) due to unforeseen circumstances. But we knew we had to get our friend Bud to his goal. And we did. You probably want to hear all the crazy, funny details from those last 20 miles or so. But those moments on the course with your BFFs are sacred. Memories that make life meaningful. Stories that won’t be written on a blog. I ended up with 78 miles total–my furthest distance to date. But I also got to see my friends succeed–which means a whole hell of a lot more. I did it all for the miles and smiles with these special people. Worth every painful step. After the race I was sidelined with a horrible cold. I had been fighting it the entire race weekend and it finally wiped me out. But I still felt so good. I was hardly sore at all, a testament to my laissez faire style of training 😉 I have another hundo coming up this winter and I know I’ll be ready. This time I won’t settle for anything less than a buckle! But even if I do fall short of my goal, I now know from experience that it will be an adventure of a lifetime with my peeps. Whew! Dam Yeti 50 miler is drawing closer. One more long solo run coming up and then a short taper before the big day. The last couple of weeks have been a whirlwind of distractions and injuries! But I’m still going to hold my head high and give it my all. It wouldn’t be a good training run without my trail buddy and a minor sprained ankle…. This week holds lots of treadmill running, strength training and a super duper long trail run this weekend. I’m working on getting acclimated to the heat and humidity and catching all the spiderwebs across my face. Happy hump day, y’all!